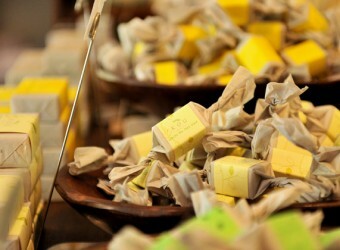 Bali Souvenior Shop An organic shop in Ubud, KOU has organic soap with their original fragrance. Also, bath goods such as bath salt and soap dishes are available. The No.1 popular item is their organic soap. For a souvenir, soap with a cute candy wrapping is recommended.